The Left Center has called upon Sri Lankans to support the common candidate Maithripala Sirisena and ensure his victory at the upcoming presidential polls, in a resolution that was passed at its inaugural meeting held a few days ago. The movement has appealed to the people of Sri Lanka to work towards the victory of Mr. Sirisena as he has made a commitment to change the present constitution and abolish the Executive Presidency with the objective of restoring democracy in Sri Lanka. The Left Centre (Vame Kendraya), formed by a group of prominent leftists including Lal Wijenayake, Raja Uswetakeiyawa, Prof. Vijay Kumar, Wimal Rodrigo, Dr. Jayampathy Wickramaratne, Dr. Micheal Fernando, Dr. Nirmal Ranjith Dewasiri, Chandrapala Kumarage, Dr. Kumudu Kusum Kumara, T.M.R. Rasideen and Chameera Perera. Among the resolutions that had been unanimously passed by the Left Center, they have also disapproved the decision made by the LSSP and the Community Party of Sri Lanka to support President Rajapaksa as it is contrary to the position taken by the Left on the Executive Presidential system, which was to oppose it since its inception. They have noted that the major reason behind the breakdown of democracy, rule of law, increasing corruption and decline of social values and morals and the development of a deformed political culture is the present constitution and the Executive Presidential system established by it. “It is the foremost task today to lift the country from its present abuse and create a democratic space,” the Left Center adds. While welcoming the move of these leftists to support the common candidate, I must also note that these fellows were quite happy to support President Rajapaksa while he was murdering Tamils by the tens of thousands. Not even a word of protest. They all see their ship sinking and want to be on the winning side despite their unstinted support for Rajapaksa all these years. Even Maithripala Sirisena who backed Rajapakse is saying he will safeguard all the murdering soldiers. In his words as reported in the Island: “”I’ll protect all members of Rajapaksa family and war heroes on my watch.” There will be no punishment for killing Tamils. Obviously there will be no respite for Tamils from all that evil that has been visited upon them. Are these leftists going to work for justice for the sake of justice? Or are they shifting allegiances to keep their privileges from the Sinhalese state? Like rats jumping out of a sinking ship? Is there any point in Tamils voting for Sirisena as the Left Center wants? What are his credentials in promoting justice? Has he not already told us where he stands? Rats and pigs jumping ship, if it helps to defeat MaRa of Medamulana, is acceptable. So all 15 or so members of Wame Kandaya are going to support My3pala? Rajapaksa would be really worried! Maithri said that he would only “protect” MR and his family, But he will allow the investigators to the country for the crimes that MR committed. However this protection will not be lasted forever and the protection basis is temporary, Once the UN’s ICC calls for the extradition of MR to the Netherlands Maithri has to handover him to the Criminal Courts. Therefore Maithri knows the risks if he had refused because he knows that the world will put huge pressures on him even the country will face the sanctions. Furthermore jumping to Maithri’s ship will help to restore the democracy as well the economy will be returned to the stable. However abolishment of the Executive President is also another benefit for the parliament and it’s the cabinet. I believe the Tamils would get the justice and peace for sure under Maithri’s Govt. There is nothing to be panic under Maithri’s govt and everyone within the Island deserved to be treated with peace and love, No one is deserved to be abused. Sunday sil Monday kill variety. Or Kill the Veddah, Rob the Buddha and Blame the Vellala variety. Did you cry for Tamils, Sinhalese and Muslims who were killed through no fault of their own over the past 50 years? Probably you would have cried when the war stopped, brought to an end by Hindians and IC. I never heard of Sharks eating rats. In this island I only know loan sharks eating human. Even the ship with cargo or without it already heading towards rocks to be destroyed and sunk. Were you there investigating each and every dead body? No you were not there either. Probably you were there burying and wipe cleaning the crime scene. The armed forces did count the bodies and the details have already been known to many in the know. You were focused on VP’s bum not on Tamil people hence his fat bum obstructed your view. Did you shed tear when innocent Sinhala people were killed in thousands by JVP terrorists and state terrorists? Did you shed tear when IPKF killed, raped and maimed innocent Tamils in the North East? Its not too late still you could shed some crocodile tears for them. Rabok try and reboot your selective memory. Your academical stand is insufficient if it were to remain within CT and the vociferous Comments off and on – it needs broadcasting in the vernacular in todays technology for a very wider audience in the hinterland where Voters are dumfounded. FB will be banned shortly. Dear Group. Amarasiri is Just one Person. You are a group. The Medamulamna MaRa coming back to power being Reelected will have a greater negative impact on your lives, carriers, students, your family and the People of Sri Lanka than on Amarasiri. Amarasiri is doing this for altruistic reasons. Amrasiri is trying to takes the horses to thew water. The word needs to get out to the people, fast and quick. It needs to be in simple vernacular language so that people will understand..That is what Thomas Paine did for the Americans..
You can get a Free Copy Pdf of the Common sense by Rhomas Paine here.. Wish you all the best Centre Left (CL) to throw the Rajapkse family, extended family, friends out of the govt. 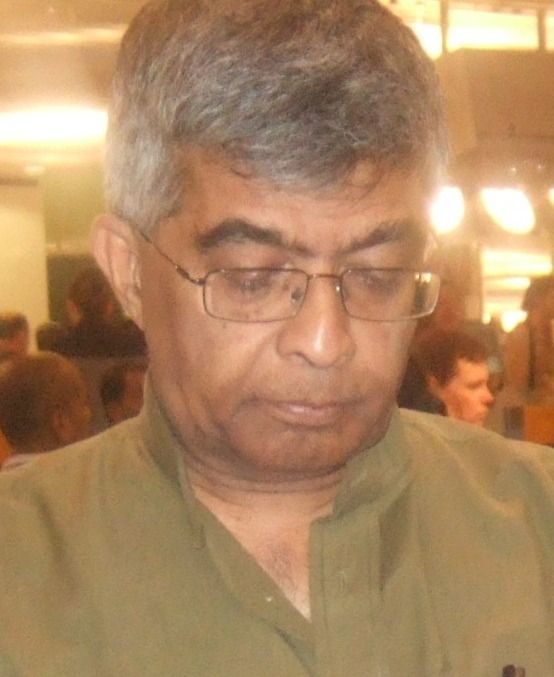 The LSSP and the Community Party of Sri Lanka – what is their position? CL – what do you expect Mr. Sirisena to do after restoring the democracy to Sinhalese? Also write, print and distribute the Common sense Pamphlet. Time is of essence. Elections Jan 8, based on the incorrect Geocentric Model of Astrology. The populace need to know. Common Sense (pamphlet) Sri Lanka 2014. Are there any writers? Printed and electronic, on DVD, on Flash drives, pdf files etc. Distribute widely. Discuss in Taverns, Busses, cars, streets everywhere and get the word out to stop the MaRa Medamulana Dynasty. Left, Right, or Center. This is the time for all Sri Lankans to put their petty differences aside, unite, and vote this corrupt, self serving regime, out of office. This is time and moment. It will too late later on. The business of governance as usual…. Maithiri has already suggested many opt out closes for abolishing the Executive Presidency. “I’ll protect all members of Rajapaksa family and war heroes on my watch,” he said, adding however Sri Lanka did not sign for any conventions. Common Opposition Presidential candidate Maithripala Sirisena will relinquish the powers of the Executive Presidency after his election, but will have Provincial Councils retain their executive powers under the Constitution. This wama kendraya is neither wama nor a kendraya. These pseudo intellectuals are various dropouts from old leftist parties who feed on NGOs of the capitalist countries. They have no ‘kendraya’ or organization. They represent a loose group of people who get together from time to time to have refreshments provided by NGOs and issue statements against popular governments. They are not ‘leftists’. This is evident from their support for the so-called common candidate who is fed by most ruthless capitalist parties in Sri Lanka and from American Imperialists. This kendraya is a disgrace to the old left, by supporting Sirisena who represents the most backward strata of feudal Rajarata. Sirisena is a representative of the rice merchants of Rajarata who exploit peasants of Rajarata and get their products cheaply by using thuggery and then sell these to workers in towns at exorbitant prices. These Wama Kendra individuals are against Mahinda not because latter is a dictator but because he does not care for these people as these pseudo intellectuals have no followers among people. The center Left that group elites that not belongs Left, but an key to link with Right by Trotskyist school political class. Majority even their are Ex-Trotskyist, that they serve for anti-people’s movement. NOT that present that Center-Left majority Trotskyist by anti-Marxist. Mao said… “Unite with them in the common fight against Imperialism and support all their anti-imperialism words and deeds, while waging an appropriate struggle against their reactionary , anti-working class and anti-communist words and deeds. ……….Towards the national bourgeoisie a policy of ‘both unity and struggle’ should be adopted. The so-called left-that right-oriented Elites has no knowledge of understand our urgent task of National Independence and sovereignty struggle of Sri lanka. MS and his alliance has moving towards to undermine Indepencace, Peace, Stability and Security after the end of War 2009 May.